Housed in a formal naval bakery in Vittoriosa, the Malta Maritime Museum is yet one more example of how proud the country is of their history – this time, with the focus being the seas surrounding the island. And because there is an ongoing search for more artifacts, it's a site that's worth revisiting on subsequent trips. From the largest Roman anchor in the world to Napoleonic battleship parts to more than 60 traditional Maltese boats, this 20,000+ collection not only exhibits Maltese Maritime history, but puts into context the importance of seafaring on a global scale throughout the ages. 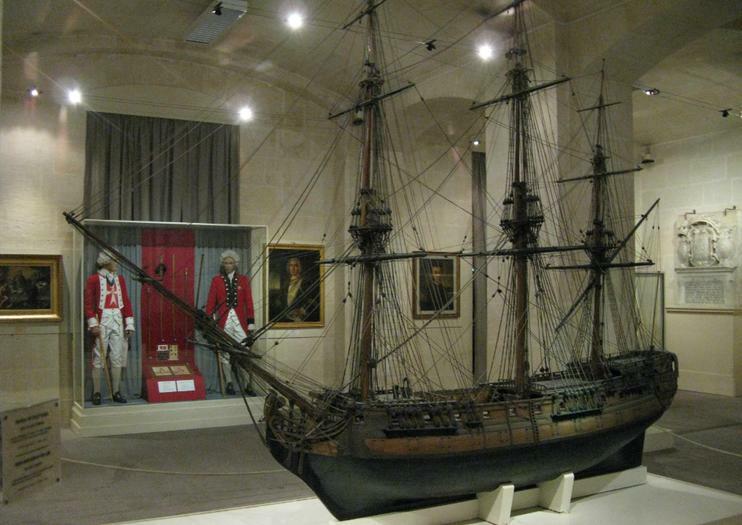 The Malta Maritime Museum is open seven days a week from 9am-5pm. It is closed on New Year's Day, Good Friday, and Christmas Eve & Day. Tickets are €5 for adults, with discounts for seniors, children and students. Children 5 and under are free. Discover top attractions on the island of Malta including St. Lawrence Church on this 3.5-hour Vittoriosa and Senglea tour. Explore the historic town of Vittoriosa with your guide. Discover winding streets and ancient battlements, and gain insight into the Great Siege of 1565. Visit the 11th-century St. Lawrence’s Church, and take a harbor boat for a 30-minute tour along the water. Then, travel onward to Senglea, where imposing fortifications line the attractive waterside.